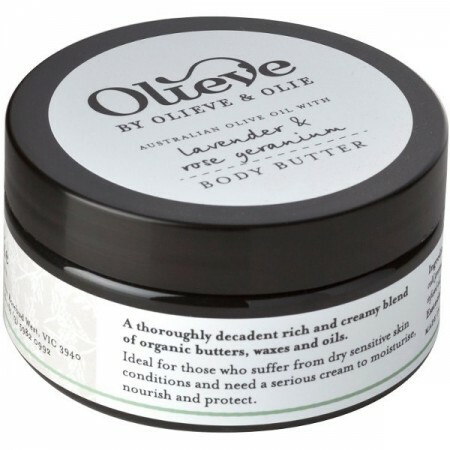 Super rich, vitamin-laden Olieve by Gunbower Creek body butter has an exquisite creamy feel. It contains natural oils easily absorbed by the skin. With lavender and rose geranium. Extra virgin olive oil, organic beeswax, cold pressed avocado oil, calendula infused oil, organic grapeseed oil, organic wheatgerm oil, cocoa butter, borax, essential oils of sweet orange, lavender & rose geranium. I really like this product, just wish it wasn’t in plastic! 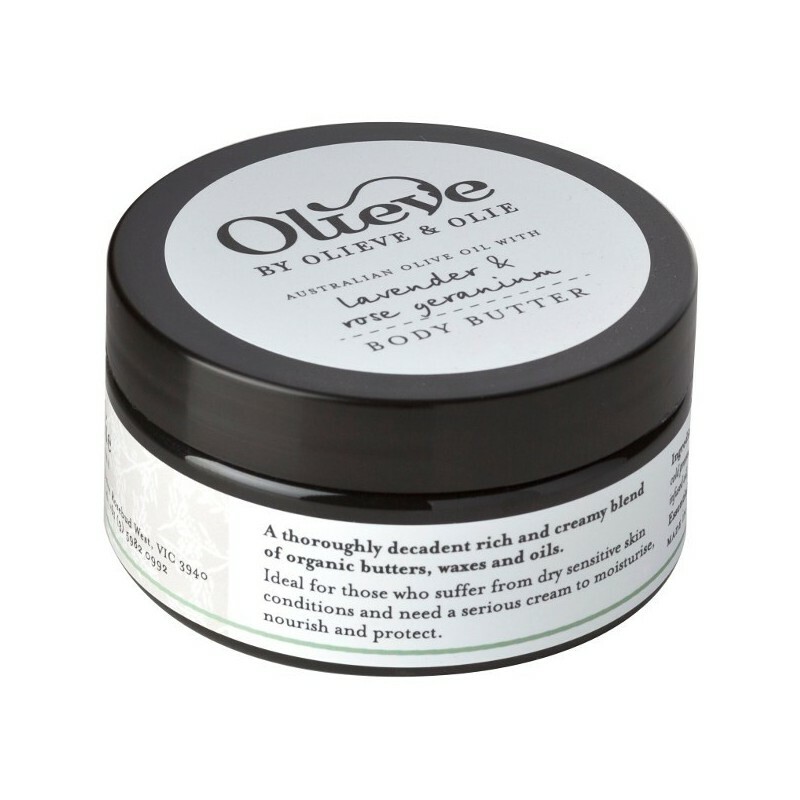 I really love this product - excellent for dry skin and great smelling. Is a bit greasy and heavy to wear on a really hot day but does sink in to the skin eventually. Highly recommend it! Also great that it is produced locally and has natural ingredients. I must admit, I was slightly disappointed with this product as it was almost too rich and took a very long time to sink in. However, if you have extremely dry skin, or just some problem areas, then it might be perfect for you.